In 2016, the Centers for Medicare & Medicaid Services (CMS) introduced the Final Rule, a set of new regulations that significantly impact LTC pharmacy services. The most taxing phase of the Final Rule, Phase 2, went into effect just a couple months ago, in November 2017. While Phase 1 introduced a number of important medication-related changes that affect LTC pharmacy and residents, Phase 2 is far more complex, involving several pertinent medication-related topics. Before the implementation of Phase 2, we explored the implications of some of the coming medication-related changes concerning psychotropic medications in particular. But to ensure you’re prepared for the new year, we wanted offer an updated, in-depth review of some of the most fundamental medication-related changes. Let’s take a look. As organizations have been preparing for Phase 2 changes, the administration of crushed and enteral tube medications has been a hot topic. Best practices indicate that crushed medications should not be combined and administered all at one time, either orally or via feeding tube. As such, the advanced copy of Appendix PP and Surveyor Guidance indicates that SNF staff members are to administer each crushed oral medication separately. So each medication being administered to residents would be delivered, for example, in a separate applesauce or pudding supply. While CMS believes this practice to be the standard, many in the industry hold that CMS’ approach may not be ideal for all residents. Because of this, failing to administer these medications separately will not be considered a medication error unless specific instructions about crushing and administering the medication are not followed. Oral medications—As part of Phase 2 changes, the oral administration of crushed medications to residents will be person-centered and will not result in a medication error if medications are administered together. However, appropriately documenting residents’ desires related to medication administration is advisable. Enteral tube medications—Enteral tube administration requires flushing between each medication, or a medication error will be counted for each medication without a flush in between. With that in mind, a facility is not required to flush between medications if there is a physician’s order that either specifies a different flush schedule due to fluid restriction or specifies the amount of water to be used for flushing due to fluid regulation. If the prescriber orders a medication to be crushed and the manufacturer states that the medication should not be crushed, the prescriber or pharmacist must explain in the resident’s clinical record why crushing the medication will not adversely affect the resident. Moreover, the pharmacist should inform the facility staff to observe the resident for adverse effects. This will be addressed through the Medication Regimen Review process, which we’ll cover momentarily. The new standards for the administration of these medications are to ensure the safety of the resident and prevent adverse effects from combining multiple medications. Because these updates focus on providing person-centered care, it’s encouraged, when possible, to separate crushed medications to provide the best resident care. Many long-term care residents have multiple disease states that require numerous medications. This leads to medication regimens that are complex and have the potential to increase residents’ risk for adverse reactions. One way to potentially minimize these adverse reactions is to use a Medication Regimen Review, provided by a consultant pharmacist. These reviews may help prevent drug interactions as well as help identify omissions, duplications of therapy, and miscommunication between care providers. A licensed pharmacist’s review of each resident’s medication regimen at least once a month—The consultant pharmacist’s review will include a review of the resident’s complete medical record/chart. All admissions, including residents not expected to be in the facility for more than 30 days, will be reviewed by the consulting pharmacist. Any findings for new admissions or re-admissions will be sent to the Director of Nursing within seven business days of admission. More frequent reviews of medication regimens depending upon residents’ conditions and the risks or adverse consequences related to current medication(s)—A consultant pharmacist will review the medication regimen of a specific resident upon request by any member of the interdisciplinary team, based upon a change in resident status and/or the presence of an adverse consequence. Acute status change reviews can be requested by completing and faxing the Medication Regimen Review Request Form to the pharmacy. Results of the review will be provided to the facility within three business days of the request. Reports of irregularities to residents’ attending physicians and facility Medical Directors and Directors of Nursing—The consultant pharmacist will identify irregularities through a variety of resources and review specific resident information using any medical information available for the resident. Any irregularities and/or clinically significant risks from medications will be documented in the resident’s medical record and recommendations related to the irregularity will be made to the resident’s attending physician, the nursing staff, or the pharmacy. A separate report detailing all irregularities identified during the consultant pharmacist’s reviews for the month will be provided to the resident’s attending physician, the facility Medical Director, and the Director of Nursing each month. Proof of action taken in response to the irregularities identified—Physicians may either accept and act upon the suggestions, or reject the suggestions and provide an explanation for disagreeing. All recommendations must be reviewed and responded to. A psychotropic medication is any medication that affects brain activities associated with mental processes and behavior. Antipsychotics, antidepressants, anxiolytics, sedatives, and hypnotics are some examples of the different categories that psychotropic medications can fall under. Until recently, CMS’ focus has primarily been centered around antipsychotic medications. However, with the new regulations in place, the focus will now shift to all psychotropic medication classes. The required provisions of the CMS Final Rule Phase 2 aim to reduce or eliminate the need for psychotropic medications, if not clinically contraindicated, to safeguard residents’ health. National prevalence of antipsychotic use for long-term care residents has fallen, but for providers that still have a high rate of use, CMS has identified a new goal of a 15-percent reduction in antipsychotic use by 2019. With this new focus on reducing antipsychotic medication rates, those in the industry will notice a marked shift toward the use of nonpharmacologic approaches and person-centered care practices. All residents who have not previously been prescribed psychotropic medications must have a specific condition requiring the use of the medication and have that condition or diagnosis documented in the resident’s clinical records. Residents already taking psychotropic medications should receive gradual dose reductions and nonpharmacologic interventions, unless clinically inappropriate, with the goal being to eventually discontinue the medication. Residents who require psychotropic medications on an as-needed (PRN) basis must have documentation in their clinical record of the specific condition that requires the use of the medication. PRN psychotropic medications are limited to 14 days. If extended therapy beyond 14 days is required, the prescriber must document the reasoning in the resident’s clinical record and indicate the new duration of use. All PRN antipsychotic medications are limited to 14 days. If there is a clinical reason to continue the order, the prescriber must evaluate the resident for appropriateness and write a new order that will be limited to another 14 days. This process must be repeated with each subsequent order. The Grane Rx team works hard to stay in-the-know on regulatory and guideline changes as they relate to LTC pharmacy services, and put that information into action. Could your SNF benefit from our services? Call (866) 824-MEDS (6337) to find out more. Jennifer Devinney is the Chief Clinical Officer for Grane Rx. In this role, she works with clinical pharmacists and nurses in conjunction with facility staff to develop and oversee clinical initiatives. 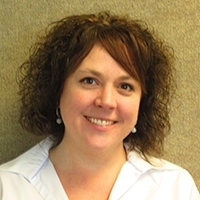 Additionally, she is the clinical EHR integration specialist. The High Dose Flu Vaccine & PACE Participants: Is It Really Better? Enter your email address below and we’ll send useful updates about post acute care pharmacy solutions directly to your inbox.